Davis Studio offers a variety of gifts such as vintage pillows made from quilts by Shannon's mother, Carolyn Davis. Also, there is a Scottie dog corner for the dog lover and a great assortment of handmade jewelry by local artisans. 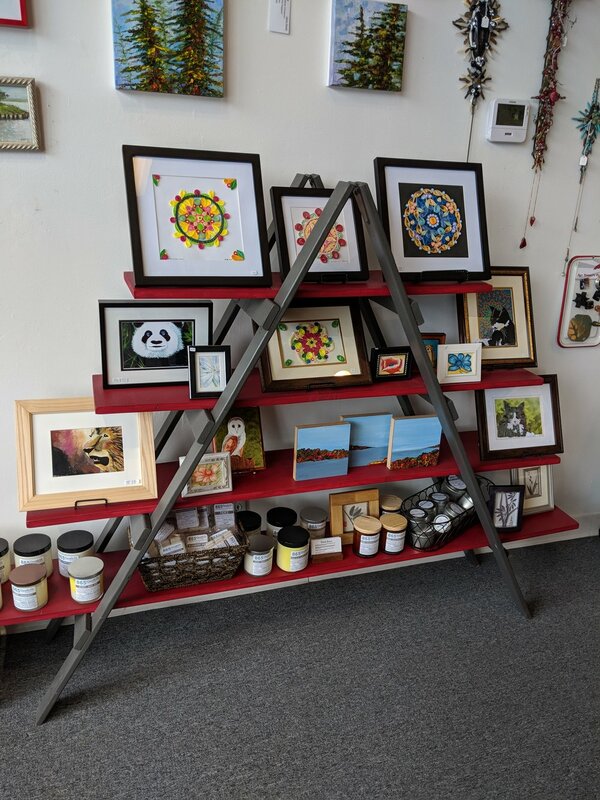 We also have a nice selection of unique artwork, from mermaids to quilling pieces. Come and see us....and bring your gift list!! beautiful handmade jewelry makes a great gift! candles, soaps, and beautiful artworks from local artists!